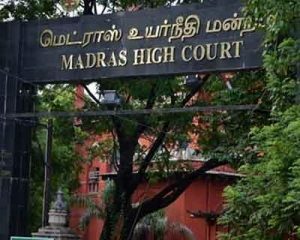 Chennai: The Madras High Court adjourned till the bail application hearing of a city- based doctor, who was arrested last month for claiming that former Tamil Nadu Chief Minister J Jayalalithaa was brought dead to a corporate hospital. When the bail application of Dr Rama Seetha came up, Justice Baskaran adjourned it to March 20. The judge passed the order on a request by Additional Public Prosecutor, seeking time to file the counter. At a public meeting held by supporters of Deepa Jayakumar, niece of the late chief minister, Seetha had claimed that Jayalalithaa was brought dead to Apollo hospital. The doctor was arrested on February 26, following a complaint filed by the management of the Apollo hospital, where Jayalalithaa was admitted on September 22 after she complained of fever and dehydration. Later, the hospital management had claimed that Dr Seetha never worked for them. A case was registered against Dr Seetha under various IPC sections including 153 (deliberately giving provocative statement with intent to cause riot) and 505 (statement conducive to public mischief). Subsequently, the petitioner had moved the court seeking bail.